Labor Day cookouts call for a fun, easy-drinking wine that can pair with a variety of foods. 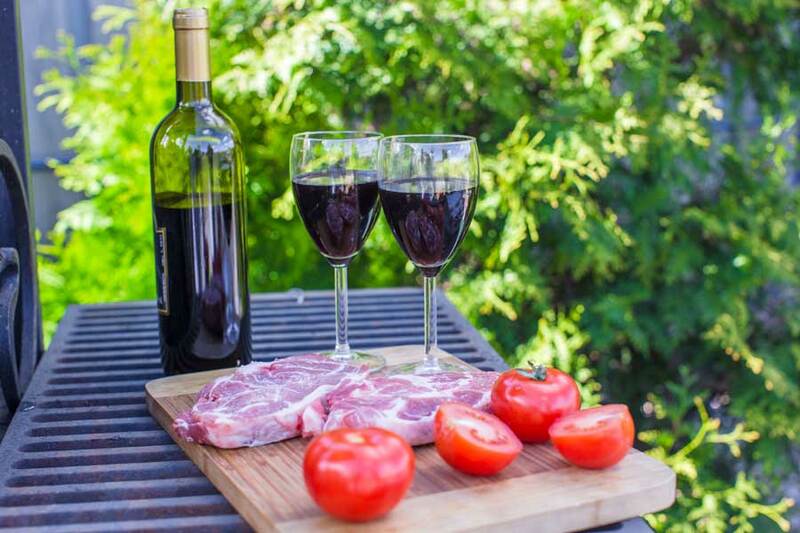 Italian Chianti is a great choice if you plan on smothering meats with a lot of thick, rich barbecue sauces. The low alcohol and clean acidity of Chianti can balance the sweet, tangy flavors that are a staple of summer holiday parties. Be sure to serve Chianti slightly chilled for a refreshing taste on a hot afternoon. Ruffino Chianti 2014 is a crowd-pleasing favorite, not only for its taste but also because it’s affordable at around $10 in most retail shops. If you want to add a little sparkle to your holiday cookout, try Ruffino Prosecco. The Italian sparkling wine makes any occasion seem more festive. You’ll even celebrate the price at under $20 a bottle. Italian wines are versatile and pair with all kinds of menus—not just with your favorite spaghetti and meatballs! In a medium bowl, combine ketchup, honey, vinegar, and garlic. Mix well and cover. Refrigerate for 1 hour. Preheat oven to 350 degrees. Heat olive oil over medium heat and sauté chicken 2-3 minutes per side to sear the meat. Transfer chicken to a 13×9 baking dish and cover each piece with sauce. Bake for 35-45 minutes, basting with sauce every 15 minutes.